GRAND RAPIDS, Mich. – Sharing meals can improve a family’s health and well-being and start a conversation that encourages and inspires them to return to the kitchen to enjoy wholesome meals together, and SpartanNash is encouraging its store guests to do just that during National Family Meals Month, sponsored by the Food Marketing Institute (FMI). Throughout September, SpartanNash and its 139 corporate-owned stores are supporting Family Meals Month and challenging customers to share one more meal at home per week using items purchased from the grocery store. In partnership with the FMI Foundation – which supports the role of food retailing and focuses on research and education in the areas of food safety, nutrition and health – SpartanNash retail stores will participate in Family Meals Month, making family meals easier and breaking down barriers with education and meal solutions. Store guests can find tips and tricks to make family meals easier online, in-store and through social media, depending on their location and favorite SpartanNash store. Family-friendly recipes will also be available in stores. Along with Family Meals Month, recipes with fruits and vegetables will be shared using the hashtag #familymealsmonth throughout September to promote the More Matters campaign. 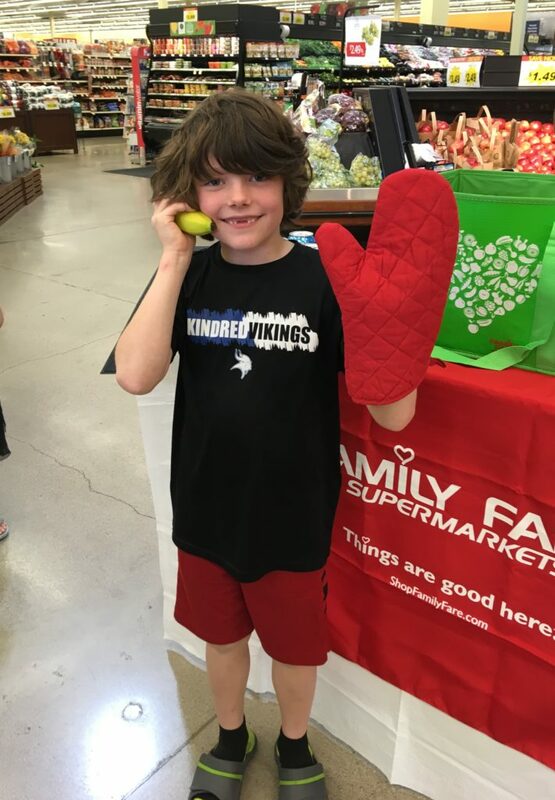 Family Meals and More Matters information is available in all 140 SpartanNash stores in eight states, including Family Fare Supermarkets, D&W Fresh Market, VG’s Grocery, Dan’s Supermarket and Family Fresh Market locations. In 2017, SpartanNash earned the FMI Gold Plate Award and the Produce for Better Health Foundation’s Retail Role Model Award for its support of Family Meals Month and More Matters Month, recognizing its commitment to raising awareness of the importance of eating healthier and together as a family.